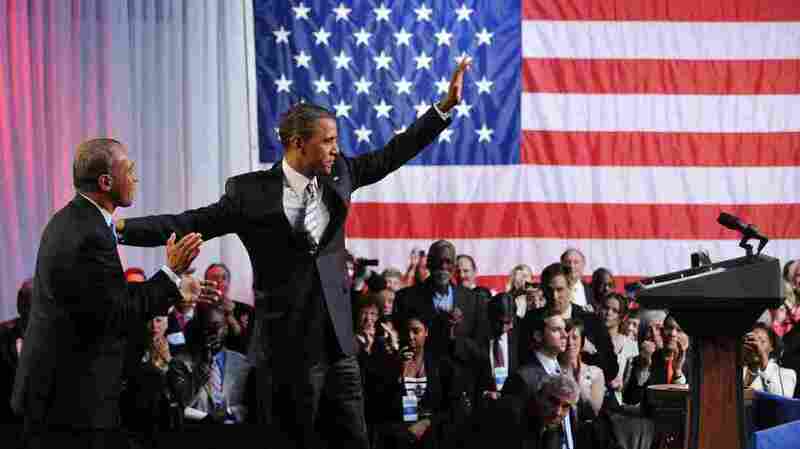 Likely Suspects: Guessing Obama's Second-Term Cabinet : It's All Politics A number of people are in the running for Cabinet appointments in President Obama's second term. Massachusetts Gov. Deval Patrick introduces President Obama at a Democratic National Committee fundraiser last year. Could Patrick be chosen to replace Eric Holder as attorney general? Every second-term president has to rebuild some or all of his Cabinet as high-profile members often time their resignations with the end of the president's first term. President Obama already is expected to receive a number of resignations, which he will have to fill. Secretary of state: While Hillary Clinton may resign as early as January, State Department spokeswoman Victoria Nuland appeared to indicate Clinton would stay until her replacement is confirmed. 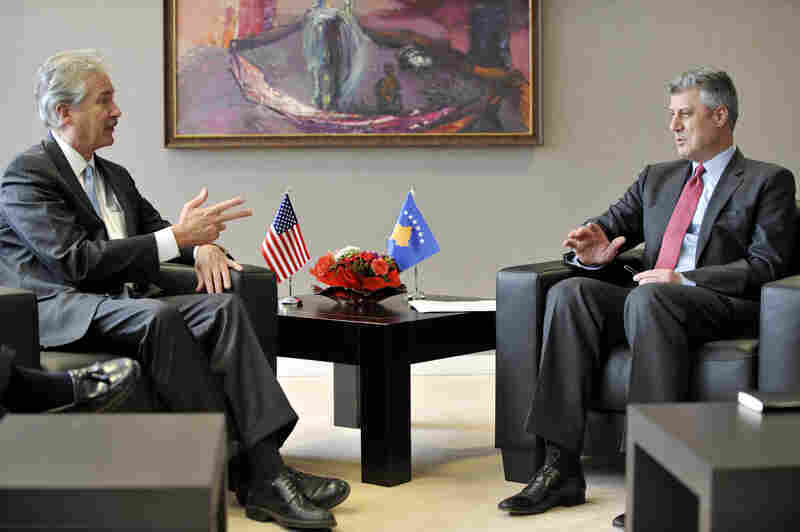 "She intends to see through the transition of a successor," Nuland said on Wednesday. "Then she will go back to private life and enjoy some rest, and think and write." Possible replacements include Deputy Secretary of State William Burns, Massachusetts Sen. John Kerry, National Security Adviser Tom Donilon and U.N. Ambassador Susan Rice. Although Democrats hold a majority in the Senate their margin of control isn't so large that Obama can expect to choose anyone he likes without considering that person's political baggage for Senate confirmation. 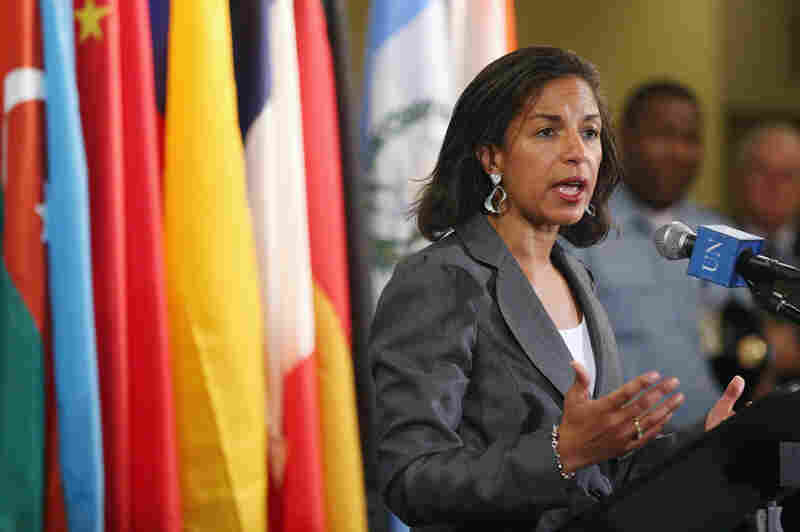 Ambassador Rice, for example, received criticism from Republicans for comments she made immediately following the attacks on the U.S. consulate in Benghazi, calling it "a spontaneous reaction" to protests in other countries over an anti-Muslim film. Intelligence reports later described the assault, which killed four Americans, as a terrorist attack. "[Rice has] been hammered by Republicans for the way she described the attack that killed the U.S. ambassador to Libya and three other Americans. Many accused her of misleading the public about that. So getting confirmed is going to be a problem for her." Massachusetts Sen. John Kerry, who is chairman of the Senate Foreign Relations Committee, is also considered to be in the running. In the past few weeks, he had plenty of one-on-one time with Obama, impersonating GOP challenger Mitt Romney during the president's debate-prep sessions. 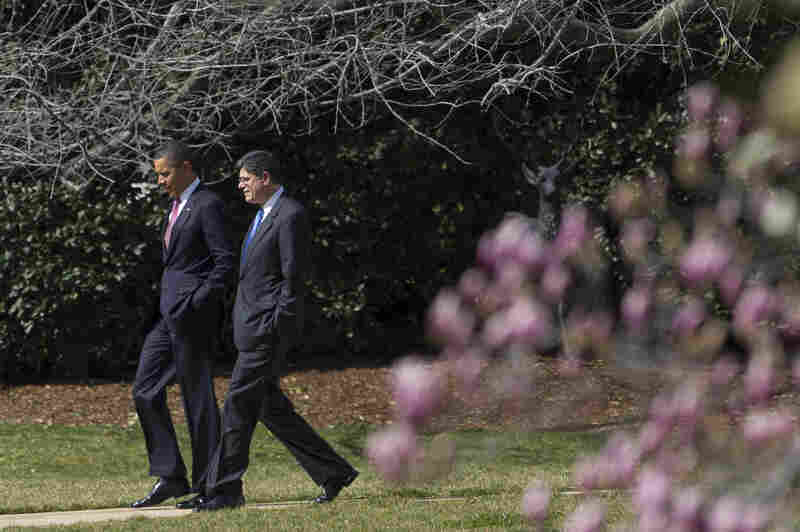 Jack Lew, 57, is President Obama's current chief of staff and his former budget director. He's a potential pick for treasury secretary. Erskine Bowles, Bill Clinton's former chief of staff and co-chairman of Obama's Simpson-Bowles deficit-reduction commission, is also a potential candidate for treasury secretary. Bowles (right) is 57. Michele Flournoy, 51, former U.S. undersecretary of defense for policy, could become the first female secretary of defense. 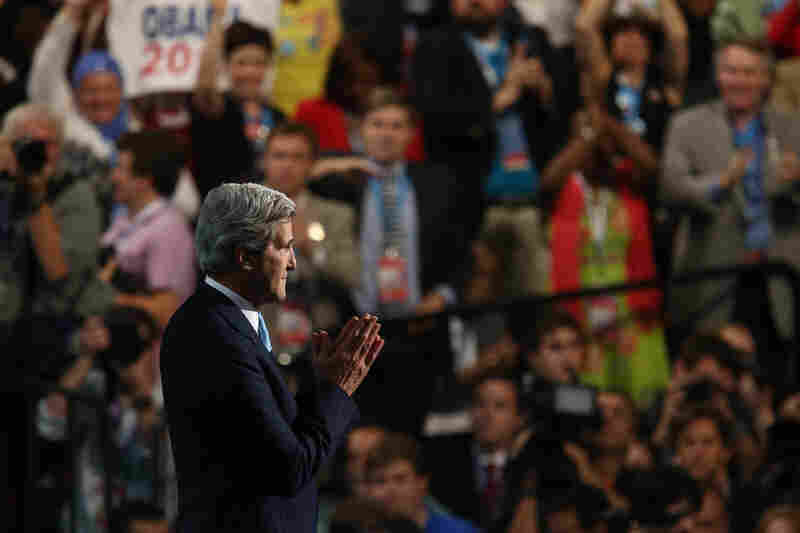 Former presidential candidate John Kerry, 68, is the chairman of the Senate Foreign Relations Committee. Obama could pick the Massachusetts senator to be secretary of state. Susan Rice's position as U.S. ambassador to the United Nations could make her an appealing choice to replace Secretary of State Hillary Clinton. Deputy Secretary of State William Burns (left) could be up for a promotion. 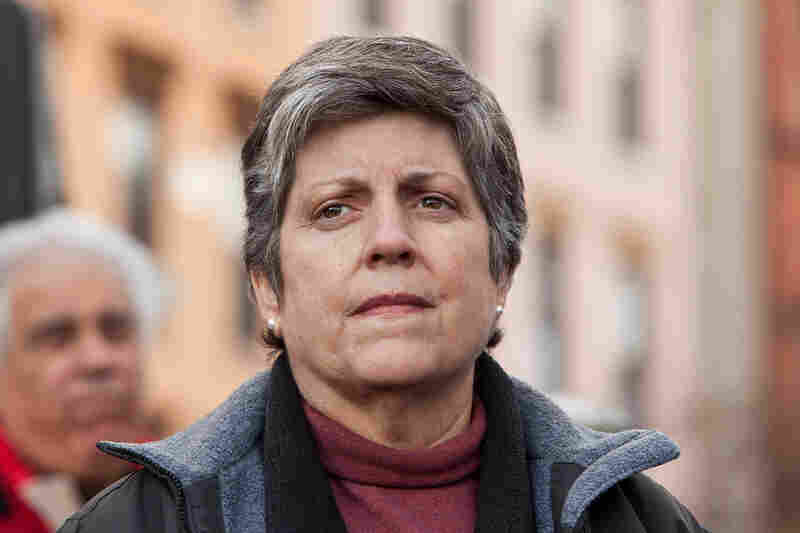 Homeland Security Secretary Janet Napolitano, 54, may stay on as attorney general if the current head of the Justice Department, Eric Holder, steps down. 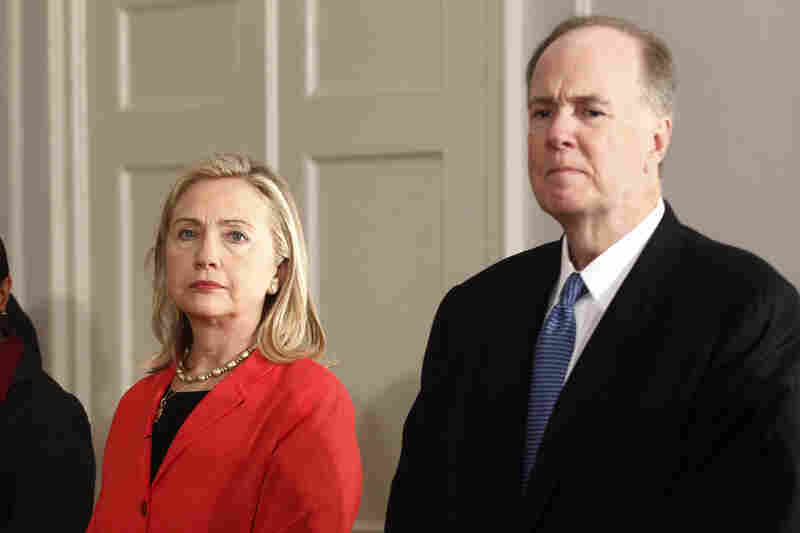 National Security Adviser Tom Donilon could take over Hillary Clinton's role as secretary of state after she departs. Massachusetts Gov. 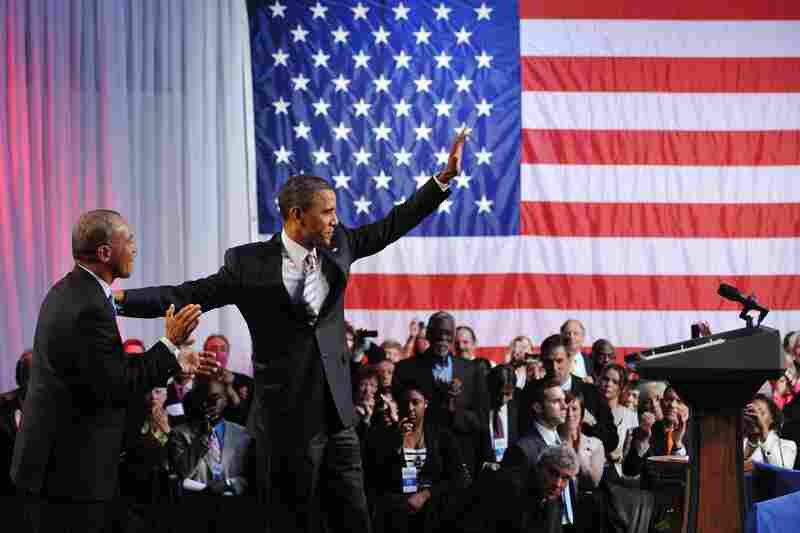 Deval Patrick introduces President Obama at a Democratic National Committee fundraiser in Boston last year. Patrick may be one of Obama's choices for attorney general. Defense secretary: It's widely expected that Defense Secretary Leon Panetta will step down at some point during Obama's second term. 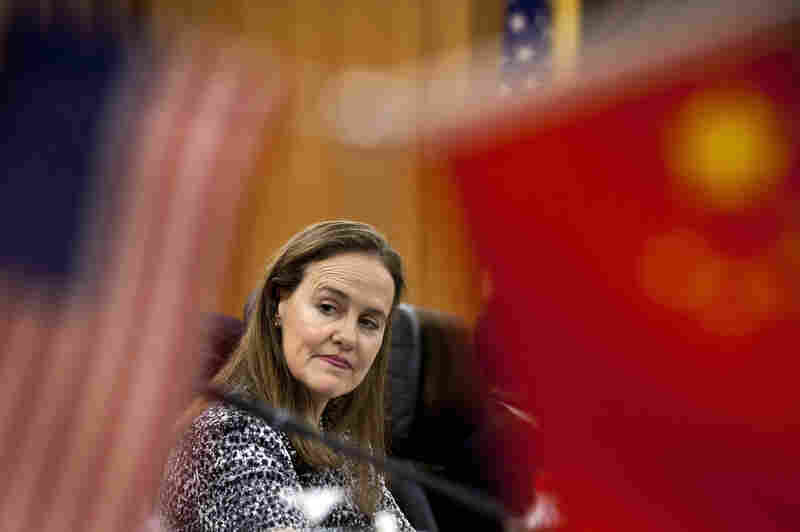 "As far as who would replace Panetta, the name you hear most often is Michele Flournoy. She is a top policy official in the Pentagon, and she has worked on such issues as shifting a greater focus on Asia. And she would be the first woman secretary of defense," says NPR's Pentagon reporter, Tom Bowman. Other potential replacements for the top position include former Nebraska Sen. Chuck Hagel and John Hamre, who served as the Pentagon's comptroller under former President Bill Clinton. Treasury secretary: One of the first positions President Obama may need to fill in his second term is treasury secretary. Timothy Geithner has previously said he would step down following Obama's first term. 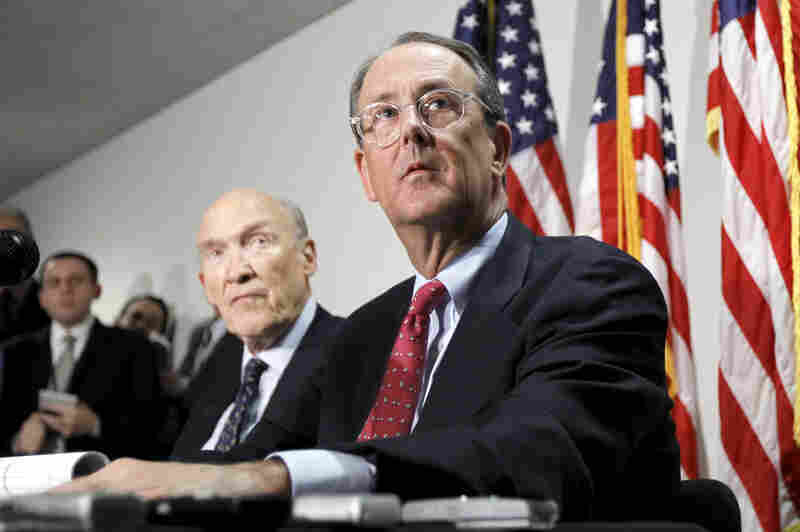 Potential replacements include Erskine Bowles, who along with former Republican Sen. Alan Simpson was appointed by President Obama in 2010 to chair a bipartisan deficit-reduction commission. "[Bowles is] popular with Republicans and with Wall Street," says NPR's John Ydstie. "But he's criticized President Obama's budget publically while praising Rep. Paul Ryan's." During the first presidential debate, Bowles' name resurfaced after the Simpson-Bowles commission was mentioned eight times by Obama and Romney. With the so-called fiscal cliff looming as a major issue in Congress, the commission's recommendations remain a frequent topic of discussion. Just this week, Bowles and Simpson announced the launch of a nationwide effort to reduce the national debt, called "Campaign to Fix the Debt." Yet, Ydstie says, a more likely choice may be Obama's current chief of staff, Jack Lew. "Lew has the budget expertise to tackle the big issues that are on the treasury's plate: the fiscal cliff, the debt ceiling and a grand bargain on deficit reduction," Ydstie says. Attorney general: Attorney General Eric Holder appears to still be weighing whether to stay on during Obama's second term. "[I have to] really ask myself the question about, do I think there are things that I still want to do? Do I have gas left in the tank? It's been an interesting and tough four years, so I really just don't know," Holder said in response to a question from law students at the University of Baltimore on Thursday. NPR's Justice Correspondent Carrie Johnson says, "Eric Holder has changed his mind a little bit about when and whether he wants to go. He seems to be indicating at this point he doesn't want to stay much more than six months or a year into the new term." People who could replace Holder if he decides to step down include Homeland Security Secretary Janet Napolitano and Massachusetts Gov. Deval Patrick, who served as a Justice Department official under former President Bill Clinton.